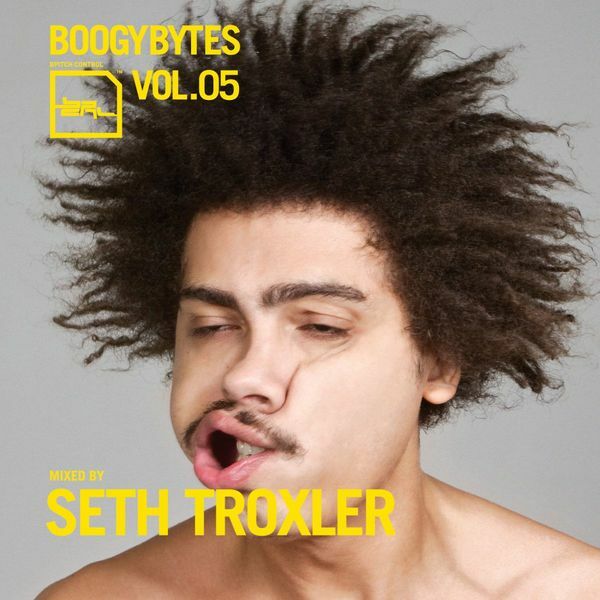 Having moved from Detroit to Berlin, Seth Troxler seems to have moved from one great techno capital to another, and it's no doubt down to his new surroundings that he found himself collared by Berlin's first lady of techno and Bpitch boss Ellen Allien, recruited for the fifth installment of the Boogybytes compialtion series - the first not to be curated by one of Bpitch's own stars. Troxler makes his presence felt over the course of the playlist with a couple of great remixes - one for Heartthrob's 'Signs' and another for Fever Ray, whose 'Seven' is given a good going over, rendered in lively 4/4 with the idiosyncratic vocal still blissfully prominent in the mix. Elsewhere, Troxler's 'Party Guilt' (under The Royal We moniker) is subjected to some wry subversion by Dinky, who in turn gets her own spot in the sequence with 'Westoid (Featuring Update)'. Other strong showings come courtesy of Alexi Delano, Roman Flugel, Birds And Souls and Nicolas Jaar, whose 'Time For Us' closes the mix in fittingly fine style.